Skirts are one of the most loved outfits for women of all ages and body types. The fact is that skirts are feminine without being too dressy, and at the same time, they excel in comfort factor. Another great thing about them is that they can be worn as easily to work as for casual occasions as well as formal gatherings. All you need to do is to pick the right skirt and team it with the right top. It would be a good idea to buy women’s skirts online as you can get ample variety at the right pricing, but online shopping is easier said than done. 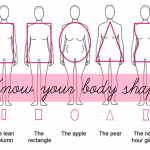 If you are aware of your body type and also what style would suit it the best, you can actually save while you spend. Though being plus sized is not something a woman would consider as a boon, yet she can flaunt her curves with the right dressing. Knee length skirts with slight flare would work for you if you have a curvy frame. If you are bottom heavy, opt for such women skirts online that extend to the narrowest area of the knee. For a heavy midriff, the best skirts are those without a waistband. Avoid ones which are pleated at the waist. If shopping for the best women’s skirts online for petite figure, pencil skirts and A-line skirts would be ideal. A knee length skirt is just right as longer ones can actually make you look shorter. The ones with off-center slit can create an illusion of height, and so will those with vertical detailing. The skirts with excessive embellishments and details need to be avoided. Being tall and slim means that you can carry almost every type of skirt really well. 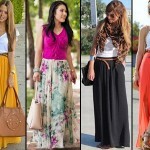 If your legs are long, go for mid-length skirts and asymmetrical skirts. For the mini skirt look, balance the ensemble with simple top and flat footwear. In case you are not blessed with natural curves, create an illusion of the same by wearing pleated and tiered skirts. For enhancing the curves on the hip area, wear a denim skirt.